Swanky Digs: Oh how I want. I consider myself a pretty crafty girl. So this craft/tool station from Craftynest has me drooling. I could be so organized if I had a station like this. If only I had space for a station like this. I hear you! 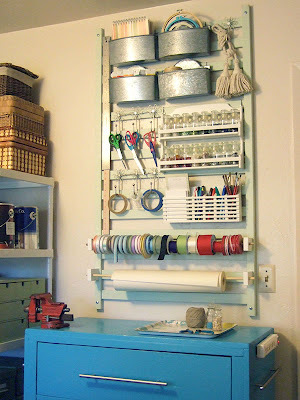 I've been trying so hard to get my work space organized and this would be perfect! !